According to The Hollywood Reporter, British actor Frank Finlay has died. His cause of death has not been released. He was 89. Finlay was born in Lancashire, England, in 1926. His father was a butcher, and he left school at a young age so he could become a butcher as well, but along the way he began studying at the Royal Academy Of Dramatic Art in London. He soon started appearing in stage productions in London, mostly at the Royal National Theatre, which is he were be began working with legendary actor Laurence Olivier. 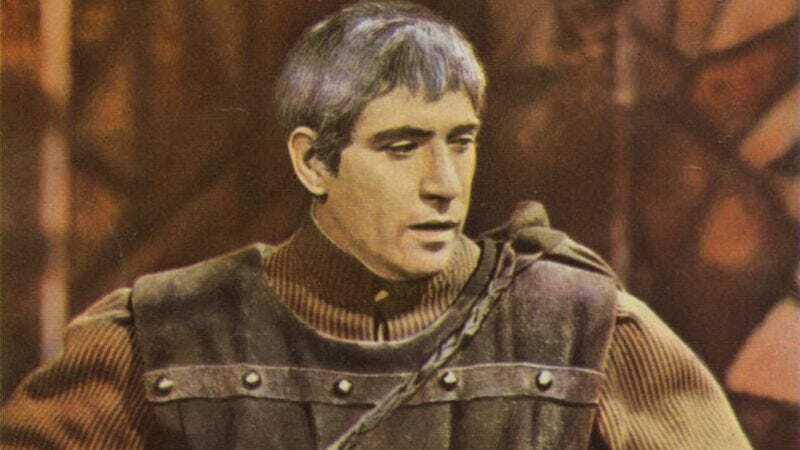 Finlay played Iago opposite Olivier in a 1965 production of Othello, and reprised the role in the movie adaptation of that production later that year—an adaptation that is perhaps better known for featuring Olivier in blackface than for anything else. Nonetheless, Othello earned Finlay a Best Support Actor nomination at the Academy Awards that year. Finlay appeared in director Richard Lester’s The Three Musketeers in 1973, as well as its sequel, The Four Musketeers: Milady’s Revenge in 1974. He also played Jacob Marley in the 1984 version of A Christmas Carol (which starred George C. Scott as Scrooge), and was the father in Roman Polanski’s The Pianist.